In view of the popular demand by the applicants seeking admission into Afe Babalola University, Ado – Ekiti (ABUAD) who intend to travel for summer holiday and those who are interested in securing admission early, we have scheduled the Screening Exercise to take place on Saturday, 8th July 2017 at all the Screening Centres across the Country. The following candidates are entitled to attend the screening exercise on Saturday, 8th of July 2017 by 10.00am. Candidates who scored below 180 national cut-off mark and are seeking admission into Pre-degree and Degree Foundation Programmes at Afe Babalola International Study Centre, Ibadan. 1. Applicants must bring to the Screening Centres, the following documents viz. b. Completed Bio-Data Application Form. 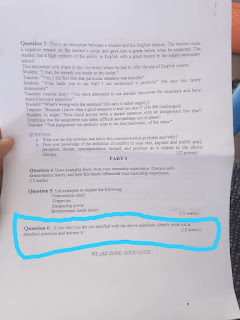 e. Testimonial from last school attended. f. Reference Letter from a well-known/reputable public figure to vouchsafe the candidate’s character of good conduct. 2. 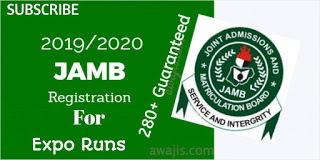 Those seeking admission into 200 Level (Direct Entry) with minimum of 2 A/Level passes in relevant subjects or NCE/OND/HND in accredited courses listed in the JAMB Brochure except for Law, Medicine and Surgery. (Note: HND holders seeking conversion to degree shall undertake 2-3 years study depending on the course of study). 3. Direct Entry into Bachelor of Nursing Science (B.NSc – 4 years): Those who possess NRN/RM are eligible to apply. 4. Direct Entry into Medical Laboratory Science (B.MLS – 4 years) – Holders of B.Sc in Physiology, Biochemistry, Anatomy, MLT, HND in SLT with minimum of Second Class Lower are eligible and must possess Credit Pass in 5 O’Level relevant subjects. (v) B.Sc Tourism and Events Management. (i) All undergraduate programmes listed above are available at Afe Babalola International Study Centre, Ibadan for Pre-Degree and Degree Foundation Programmes except Law and MBBS that are run under Degree Foundation. Application forms shall be available at the screening centre for those who are willing to partake in the screening exercise on the day of the screening upon payment of the application fee of N10,500.00 or N13,000.00 as the case may be. CONTACT: Office of the Registrar, Afe Babalola University, Ado-Ekiti (ABUAD). Available Hotlines are: 08127772121, 08038521163, 08033509150, 08034402771. To checkmate the activities of fraudsters, applicants and parents are strongly advised to contact only the listed telephone numbers and/or visit the university’s website: www.abuad.edu.ng or the Afe Babalola International Study Centre website: www.abisc.org.ng directly. 0 Response to "ABUAD Undergraduate Admission Screening Date, Requirements, Programme and Center"